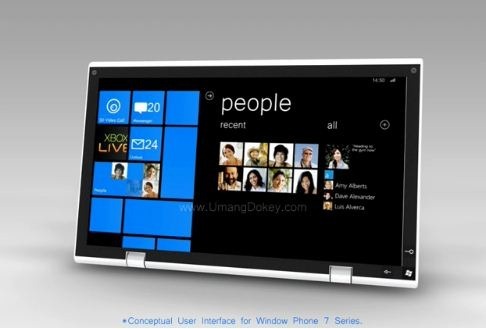 Designer Umang Dokey has come up with an awesome looking prototype concept of an Tablet (Slate PC) which runs on top of Windows Phone 7. With an 8’’ screen, foldable keyboard, built-in table stand and a finger friendly OS, this is what HP Slate should have been like right from the start. Video after the jump. With Apple iPad now set to hit shelves of April 3rd, Microsoft and its partners will now have to come up with a Slate computer that is powered by Windows Phone OS 7.0, and not Windows 7 which currently runs on the upcoming HP Slate PC. The courier, as cool as it looked, has been buried.